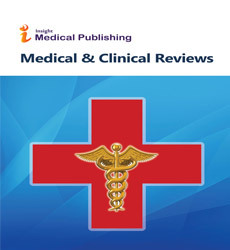 Medical & Clinical Reviews Journal emphasizes to publish reviews in basic, fundamental, critical and state of the art review articles in the field of Medicine and Clinical sciences. This journal is unique in its approach of eclecticism because Medical or any science is becoming more and more multidisciplinary. In this regard it will be better to publish reviews under single umbrella than individual or unique topics. Additionally this practice paves the way for better impact of the journal and articles. Time to time reviews of latest developments in the field of medicine and clinical aspects serves scientific, academic and hospital research based communities. Than original research articles reviews provide simplified versions or summery of the many interrelated developments as a single document. This enhances the readability or understanding of a given research problem by a laymen or young people entering science streams to seriously take up a career as Medical doctors, doctoral researchers or clinicians. Keeping this in mind Insight Medical Publishing group requests and encourages researchers to submit their brilliantly orchestrated topics or recent developments in the field of Medicine and Clinical areas in the form of reviews. Added to this open access publishing from Insight Medical Publishing makes ones article visible and citable world over immediately. Writing regular reviews by researchers and academicians is a good habit and it improves once visibility and overall impact of authors for their career development. Insight Medical Publishing group inspires and encourages authors towards these endeavors.